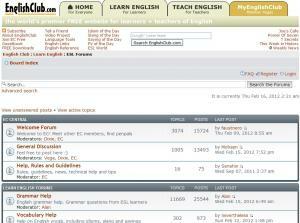 This is a highly active forum for English learning. Feel free to ask a question and it will be replied quickly. 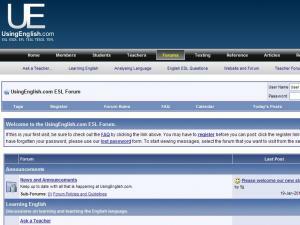 This forum is appropriate for students preparing to take an ESL exam as the topics are all related to examinations. Learn techniques to prepare for written, listening and speaking portions of tests as well as accent training. 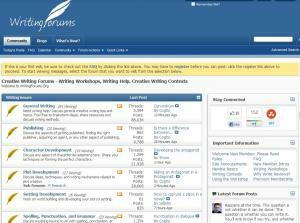 This forum is up-to-date and easily navigable by topic. 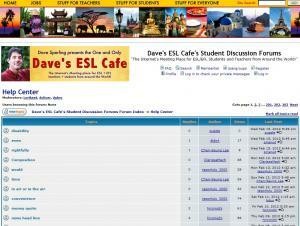 Part of Dave's ESL Café, this forum is "The Internet's Meeting Place for ESL/EFL Students and Teachers from Around the World!" 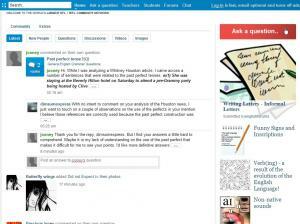 Ask questions and receive feedback or look at others' questions to learn. 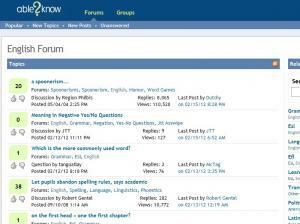 This free forum is best used for asking questions or learning about specific vocabulary (business, medicine, law, science, etc.). There is a small number of topics and not all are answered quickly. 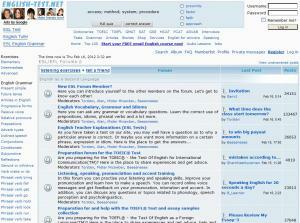 Free English language forums and chat for EFL / ESL students and teachers with discussions covering issues such as grammar, exams, qualifications, academic/business English and more. 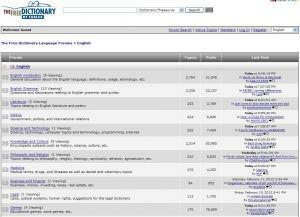 Topics are up-to-date and separated by learner level.